Breathable polo shirt for city cyclists. The Rapha Long Sleeve Polo is a versatile mid-layer designed for city riding. Made from 100% New Zealand merino wool, it is itch-free, high-wicking and odour resistant. The natural fibre means the shirt can cope with a range of conditions, keeping you cool on warmer days or insulating against the cold. The fabric breathes extremely well and is both lightweight and soft. With a slim fit, the shirt is cut longer at the back and has a side panel construction for a structured fit. Offset shoulder seams add comfort and stylish touches. The top button is stamped with Rapha logotype. The back of the jersey has a single rear pocket. 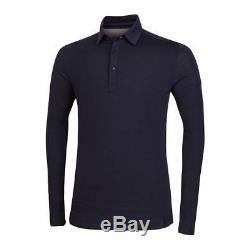 LONG sleeve polo shirt in dark navy, size XL. Usual Rapha quality and style. Brand new and unworn, sealed in original Rapha packaging. Fabric: 100% New Zealand merino wool. Fabric Properties: Soft, lightweight, itch-free, high-wicking and odour resistant, naturally breathable and insulating. Cut: Slim fit, shirt cut longer at the back and has a side panel construction for a structured fit, Offset shoulder seams. Pockets: The shirt has a single cycling-jersey-style rear pocket. 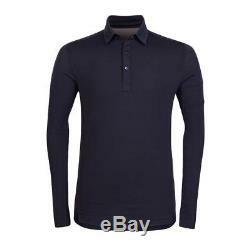 The item "Rapha Merino Polo Shirt Dark Navy L/S BNWT Size XL" is in sale since Sunday, October 14, 2018. This item is in the category "Sporting Goods\Cycling\Cycling Clothing\Jerseys". The seller is "drelish" and is located in Petersfield. This item can be shipped to United Kingdom.